It’s a tremendous honor to share that SOIL has received the United Nations’ 2018 Momentum for Change Award, which is given to activities underway across the globe that are moving the world toward a highly resilient, low-carbon future. Momentum for Change honors innovative and transformative solutions that address both climate change and wider economic, social and environmental challenges. Recognized as a Lighthouse Activity, SOIL’s work is honored for being a practical, scalable and replicable example of a groundbreaking intervention to tackle climate change. 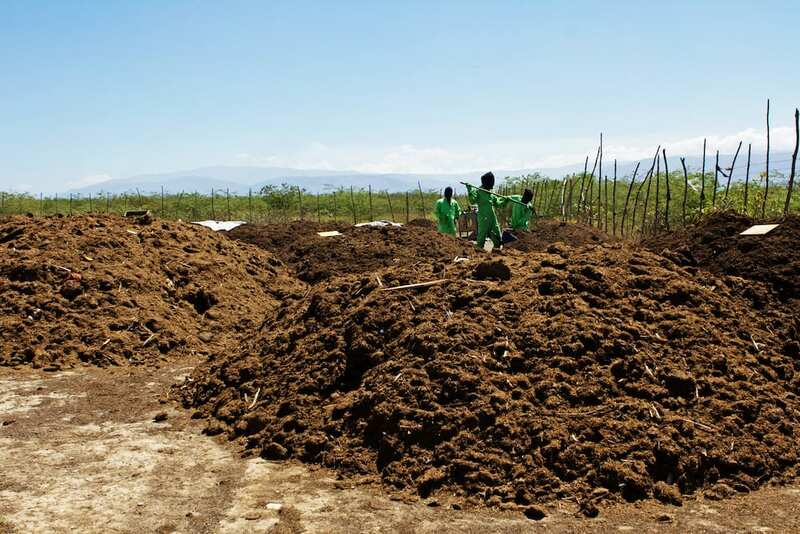 For over a decade, SOIL has been developing restorative solutions to the sanitation crisis in Haiti which demonstrate that it is possible to sustainably provide household sanitation services even in some of the world’s most under-resourced, climate vulnerable urban communities. Over 700 million people living in urban communities around the world lack access to sanitation and while aquatic ecosystems become increasingly polluted from human waste, the earth’s soil nutrients are rapidly declining, leading to increased vulnerability to climate change. Despite having a negligible contribution to the global climate crisis, Haiti is now considered one of the most vulnerable nations in the world to its impacts. At SOIL, we’re more dedicated than ever before to mitigating the impacts of the growing climate crisis and growing resilience in the frontline communities we serve in Haiti. Click here to learn more and join us as we work to nurture a more just and resilient planet for each and every one of its inhabitants. No Replies to "SOIL Wins UN's Momentum for Change Climate Award"